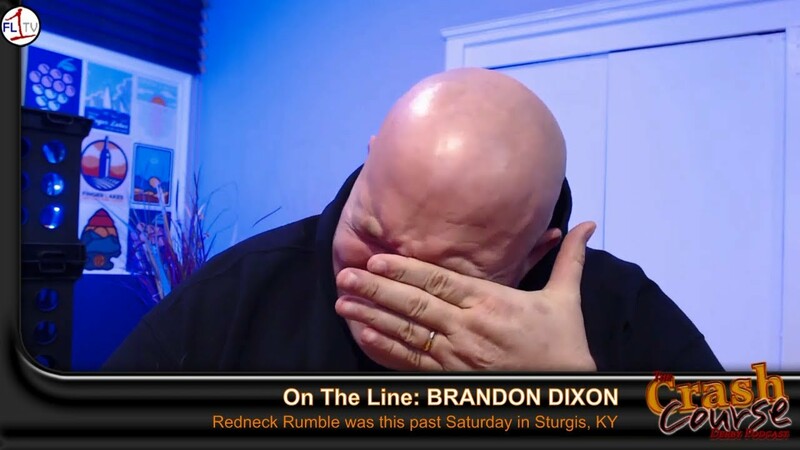 We welcome Brandon Dixon on for a recap of Redneck Rumbler, and then talk with main event winner Rick Clarke about his run in Sturgis, KY. This week, we recap with winner Ryan Songalewski Ultimate Derby’s Capital City Carnage event in Topeka, then follow up with UD’s Sam Williams and then with Sam, we bring on Chad Markley. This week, we turn all attention to Topeka and Ultimate Derby’s Capital City Carnage. We talk first with UD’s Sam Williams, then builder Shann Trieb and we finish with a chat with Rhett Gleue. This week, we recap the 2015 Blizzard Bash. We catch up with Chad Markley regarding his run with Team Kansas to the team win, and then with Eric Mulay about Team Minnesota Style’s run to victory in the Qualifying Bracket. We also discuss Brad Tice, and his selling-out of derby. But, he has one car left and he will be raffling off that 1975 Riviera at the Crash Course New Years Eve Bash in Waterloo Dec. 31!. Tickets are $100. A portion of what he brings in, Brad will generously donate back to the podcast for equipment and travel. Don’t forget New Year’s Eve!